What is the Fork Lift Operator Role ? The prime function of this position is to provide support to the supply chain through collecting, loading, shipping and receiving warehouse products. The successful candidate will be responsible for operating technical equipment, optimizing loading for efficient logistics and supporting other warehouse functions to ensure optimal operation of the business. 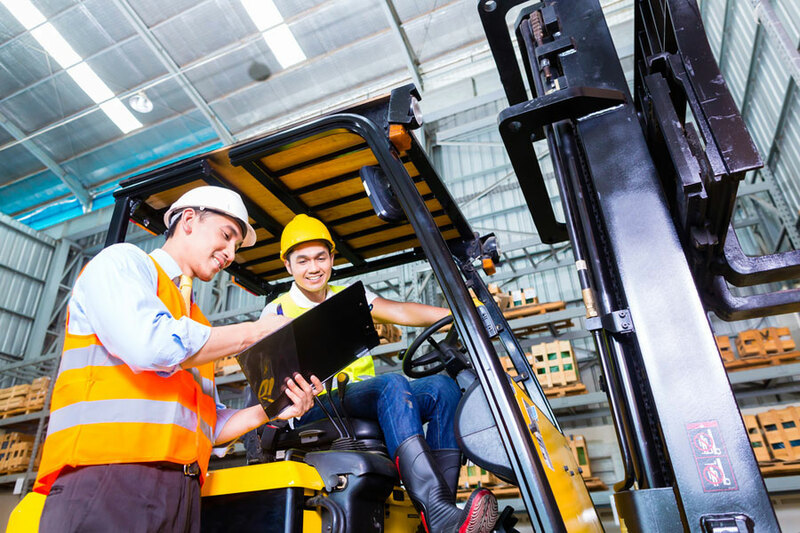 A fork lift operator is tasked with distributing, transporting, and accounting for merchandise, material, and/or equipment in industrial settings. They work in a variety of industries, such as manufacturing, construction, food services, and general storage. Using a reference to inventoried items (or as directed by a supervisor), the operator locates items to be gathered, moved, or distributed, and then does so. Although the basic purpose of the job is to move and place items from one location to another (i.e., primarily physical labor), the operator may also be required to sort or perform other processing tasks. The operator may also be required to perform general quality-assurance checks. A mobile crane can be very basic, with just a telescopic boom on a platform, or can be a full sized crane. A standard crane is a machine used for lifting heavy objects. This type of machine is fitted with a wire rope drum, chains, and a control panel. The advantage of a mobile crane is the additional flexibility to access sites and equipment that are otherwise difficult to access. 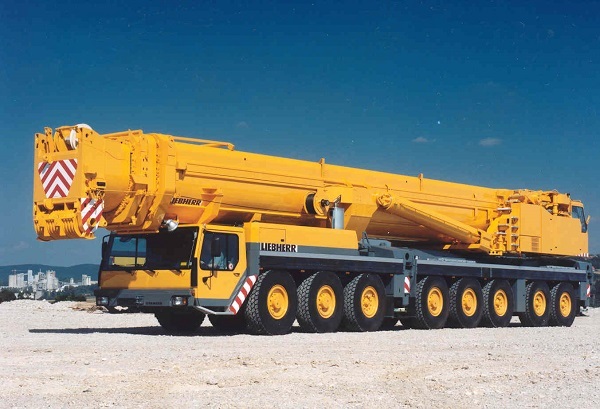 There are five types of mobile crane: truck, side lift, all terrain, crawler, and railroad. All cranes must be operated by trained staff, and this type of work is often completed by a team of people. Depending on the size of the load and the location of the crane, a spotter may be required to ensure that the load is properly installed. Most people are familiar with the truck crane, where the actual crane is mounted to the body of the truck. This type of unit is able to travel on main roads and highways. This additional flexibility makes it possible to transport large loads and access a wide range of locations. A side lift crane is another type of mobile crane able to transport materials and hoist large containers. Very large containers are lifted using a pair of side lift cranes. The added benefit of this mobile crane is that it can be used to lift a container from the ground, providing extra flexibility. What are Forklift Operator responsibilities and duties? The responsibilities and duties section is the most important part of the job description. Here you should outline the functions this position will perform on a regular basis, how the job functions within the organization and who the job reports to. Operate a forklift to move and stack merchandise. Keep an inventory of product availability and location. Why do you want this fork lift operator job? Again, companies want to hire people who are passionate about the job, so you should have a great answer about why you want the position. (And if you don't? You probably should apply elsewhere.) First, identify a couple of key factors that make the role a great fit for you (e.g., “I love customer support because I love the constant human interaction and the satisfaction that comes from helping someone solve a problem"), then share why you love the company (e.g., “I’ve always been passionate about education, and I think you guys are doing great things, so I want to be a part of it”). What challenges are you looking for in this fork lift operator position? Describe a typical work week for fork lift operator position? Interviewers expect a candidate for employment to discuss what they do while they are working in detail. Before you answer, consider the position you are applying for and how your current or past positions relate to it. The more you can connect your past experience with the job opening, the more successful you will be at answering the questions. It should be obvious that it's not a good idea talk about non-work related activities that you do on company time, but, I've had applicants tell me how they are often late because they have to drive a child to school or like to take a long lunch break to work at the gym. Keep your answers focused on work and show the interviewer that you're organized ("The first thing I do on Monday morning is check my voicemail and email, then I prioritize my activities for the week.") and efficient. Why should the we hire you as fork lift operator position? This is the part where you link your skills, experience, education and your personality to the job itself. This is why you need to be utterly familiar with the job description as well as the company culture. Remember though, it’s best to back them up with actual examples of say, how you are a good team player. It is possible that you may not have as much skills, experience or qualifications as the other candidates. What then, will set you apart from the rest? Energy and passion might. People are attracted to someone who is charismatic, who show immense amount of energy when they talk, and who love what it is that they do. As you explain your compatibility with the job and company, be sure to portray yourself as that motivated, confident and energetic person, ever- ready to commit to the cause of the company. Did the salary we offer attract you to this fork lift operator job? Do you have any questions to ask us?